With so many romantic spots around the world, finding your ideal honeymoon location can be overwhelming. The trick is to find places that provide just the right atmosphere for just the right price. That’s why it’s a good idea to take a look at select locations in France and in Italy. Whether you want a quiet, romantic get-a-way or an adventurous vacation, there’s something for everyone. France is a popular choice amongst newly-married couples. Not only do you have the opportunity to visit Paris, but you can turn your honeymoon into a cross-country trip to experience as much of France as you can. Here are a few suggestions. If you’re going to honeymoon in France, “The City of Lights” should definitely be either your main destination or at least one of your stops through the country. Experience the city together as you visit classic landmarks like the Lourve, Eiffel Tower, Notre Dame, and the opera house Paris Opera Palais Garnier. The romance and magnificence of the Eiffel Tower is undeniable, and today it stands as the symbol as the “City of Lights”. 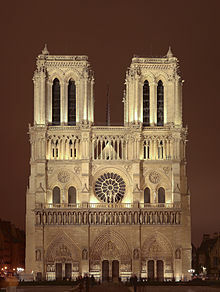 The Notre Dame Cathedral is magnificent architect with intricate details and absolutely stunning when illuminated at night. Truly a romantic highlight of the city. If rushing around to these tourist attractions isn’t your preference, you can just as well sail along the Canal St. Martin, walk along the Seine, or act like a Parisian couple having a cup of coffee at a small café. The pace you take is up to you. Paris is also home to Disneyland Paris, which features its own set of resorts and honeymoon packages for all Disney couples. Visit the theme park, then take a relaxing trip to the spa, dine at a Disney restaurant, and enjoy some amazing entertainment. Other resorts in Paris also have honeymoon packages, but they vary from resort to resort. Rates will be higher during the summer months since that is when most people are on vacation, but if you’re honeymooning any other time of the year, you can expect to save some money. For example, Paris Luxe Honeymoons offers pied-a-terre rentals at their buildings. Each apartment is themed according to a famous couple like Romeo and Juliet and Anthony and Cleopatra. Shop around and find the hotel or resort that best fits your vision for your stay in Paris. Champagne is another great location to honeymoon in France, especially for couples with a love and appreciation for wine. See where bubbly champagne comes from and learn how it’s made with wine tours and tastings available at the many vineyards located in this region. Champagne is also ideal for couples who prefer to stay in a quiet, country setting. Located 90 miles from Paris, Reims is the largest city in the region and hosts museums, mansions, and many wineries. You can either stay here or stay in Paris and visit Champagne as a day trip. Honeymooners also like to visit the French Riviera. The beaches themselves are rocky, but the scenery is beautiful. The most popular destinations along the French Riviera are Monte Carlo and Nice. Here, beautiful water-front rooms are available along with an assortment of entertainment. Couples can walk along the beach, attend a wine tasting, go to the casinos, discover monasteries, go shopping, and have their pick of restaurants for fine or casual dining. As if that weren’t enough, Italy also boasts honeymoon-ideal locations for newlyweds throughout the country. Similar to France, rates in Italy will be higher during the summer months and locations will be more crowded. According to Top Shelf Travel in Baldwin, N.Y., couples who honeymoon in Italy like to visit three main cities. The first, and most popular, is Rome. Much like Paris, there is so much to see and do here. Newlyweds can see the Coliseum, the Spanish Steps, the Vatican, and the Sistine Chapel to start with. However, most of the fun of Rome is just wandering around and taking a look at the hidden treasures often overlooked by tourists. 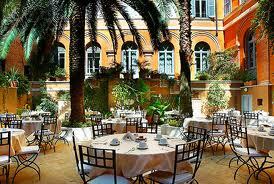 There really is no such thing as a bad restaurant in Rome so any place you decide to have lunch or breakfast at will be heavenly. There’s also the Teatro dell’Opera if you’re interested in seeing an opera. As far as hotels go, couples have their pick for all kinds of budgets. For example, the Hotel Ponte Sissto Roma has honeymoon packages that include your room, an option to upgrade to a suite, tickets to multiple art museums, dinner, wine, and more. Take a look at their website for rates now through August 2013. Look around at what is available and what suits your mood. Another popular honeymoon location is Florence, which is in the Tuscany region of Italy. See famous attractions like museums, art galleries, and Florence’s only remaining medieval bridge, the Ponte Vecchio. This is also a great location if you want to visit more than one town each day while you’re in Florence. Day trips to Chianti or Sienna offer great escapes to experience wine tastings and take tours of the country. You can also go on bus tours while in Florence or walk around the town and site-see at your own pace. If you’re looking to save some money in Florence, look up hotels that offer a complimentary breakfast. The money you save on your first meal of the day can go towards another meal or souvenirs. Guest houses and B&Bs are also available. 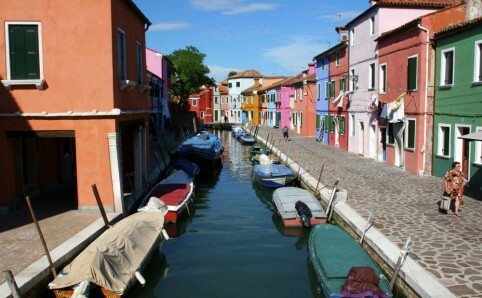 Lastly, Venice offers a unique honeymoon experience you won’t ever forget. Here couples can take a romantic gondola ride and sample delicious cuisine. Ideally you could spend a few days here, but for longer honeymoons you can incorporate Venice with a group of other towns you’ll want to visit. Just about everything in this area runs on the expensive side, so unless you’ve got the budget for it, a few days is just fine. If you’d like to see as much of Italy as possible during your honeymoon, consider planning several day trips. If you’d like to see southern Italy, travel from Rome to the Amalfi Coast. From here you’ll be able to visit Sorrento, Postiano, and even take a boat to the small island of Capri where couples can stay the night or see the Blue Grotto during the day. Of course, if you can’t decide which county to honeymoon in, why not do both? Some couples take a European tour of their trip and make sure to hit all their desired destinations. However, this requires careful planning and adhering to a strict schedule. If you’re just looking to relax and be taken care of, choosing only one or two destinations may work best for you. Wherever you go, your honeymoon is sure to be a memorable one. Having a honeymoon in a romantic setting like France or Italy can only make it better. West Coast, combined with London and some stuffed childhood friends. Sprinkle in some “Alice in Wonderland” – our couple Jenn and Darryl is certainly creative. Weather. It’s the one thing brides can’t control on their wedding day that they would if they could. Checking weather forecasts up until the last minute, many brides tend to worry about if the weather on their big day will be inclement or incredible. Every wedding should have a colour theme. Without one, the overall look is uncoordinated and the décor will clash. Colour themes can be as simple as “pink and white.” Or they can be more complicated like “muted cool colours.” Whatever the theme, it should be consistent throughout the wedding party and décor. This makes the ceremony aesthetically pleasing and the colours in the photos will bring harmony to the image. A photo with a loud burst of clashing colour in one corner will detract from the overall image. i think you done very good job and i read your blog and it is a very very useful information which is post by you thanks for this blog post. Nirvana Photography Studios is the studio of Vancouver wedding photographers Maik and Nirvana. We don't just capture the natural magic on your wedding day, but instead create magic on our own. We love to work with creative couples who want to create something truly unique. Couple who want to work with us to turn their passions into jaw dropping, awe inspiring images that truly reflect who they are. Lets create.... magic.